WooCommerce is arguably the most popular way to sell products using WordPress. With WordPress powering roughly 25% of the Internet and WooCommerce powering roughly 39% of all online stores, it’s a safe bet to use the two in conjunction with one another if you’re looking to market goods to customers. But, as with any software, there are times where we or our clients often want to extend the feature set beyond what’s offered out of the box. Case in point: With WooCommerce, let’s say that you have a simple product that you want to sell but you want to include a little more information about the product to display on the front-end. Using a couple of hooks provided by WooCommerce and custom functionality that we’ll write, we’ll take a look at how we can do exactly that. 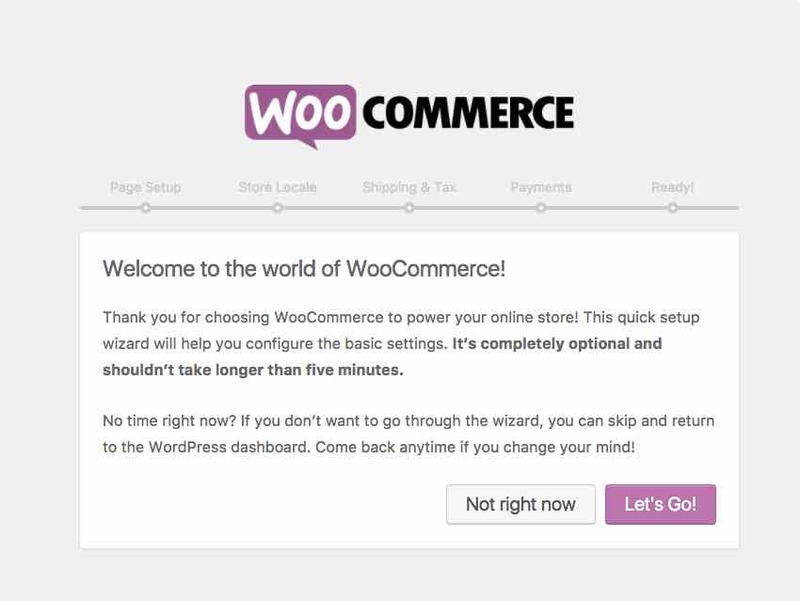 If you download WooCommerce specifically for this tutorial, there’s no need to worry about things like the checkout pages, terms and conditions, or anything like that. In fact, we’re only going to be focused on the Simple Product meta box throughout the rest of this tutorial. For non-developers, this type of information can be a bit more complex and unnecessary. But if you’re used to working with it, then it’s important to note that when I refer to custom fields in this tutorial, I’m talking about something completely different. Instead, I’m talking about an actual text field that we’ll introduce into the Linked Product tab of the Simple Product type. But we’ll get to that later in the tutorial. For now, let’s get started. woocommerce_product_options_grouping. We’ll use this function to create a description and text input that will accept our values. woocommerce_process_product_meta. We’ll use this hook to process, sanitize, and save the value of our text input. At this point, we’re ready to begin using the hooks listed above. To do this, though, we’ll add an initialization function that will register two custom functions with the hook. In the following two sections, we’ll see exactly how to implement the custom functionality. First, we’ll want to add a function that’s hooked to woocommerce_product_options_grouping. In the init function that we defined in the previous section, we’ll do exactly that. Notice that I’ve named the function product_options_grouping. I find doing this makes the code a bit easier to read. Though the function, on its own, may not be highly descriptive of what the function does, it relates itself to its respective hook. We’ll need an ID that we’ll use to uniquely identify the text field. We’ll use the instance data set in the constructor. There’s an option to display a tooltip whenever the user hovers their mouse over an icon. And we have the option for a description that we’ll use to populate the text of the tooltip. At this point, we have the first part of the plugin done. We’ve yet to write the code that sets everything in motion, and we’ve yet to write the code that saves the information to the database, so let’s take care of that now. I’ll talk a bit about the implementation of the function in the next section. Sanitize the data in the $_POST collection corresponding with the user’s input. Note that we don’t actually do anything to render the information on the front-end yet so there’s no call to get_post_meta. This is, however, how we’ll render information on the front-end. In the file that accompanies this tutorial, which can be downloaded using the link in the sidebar, you’ll actually see how I’ve passed the value into the constructor to make it a bit easier to manage. 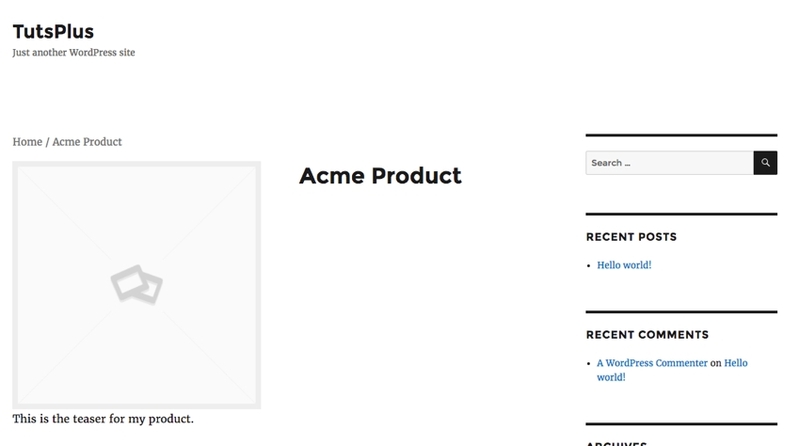 Secondly, note that I’m using the woocommerce_product_thumbnails hook to help render the information. There are a number of hooks WooCommerce made available, and I simply chose this one from the available hooks to render it. You can feel free to pore through the documentation to determine which hook works best for your needs. Finally, the last thing we need to do is to set up a bootstrap file that will start the plugin. We’ve done this in a number of my previous tutorials so I’m not going to spend too much time belaboring the point. * Description: Demonstrates how to add a custom field to a Simple Product. We’ve added a custom field. We’ve sanitized and saved it. We’ve set up a public-facing aspect of the plugin. And we’ve retrieved and displayed the content. Don’t forget to download the final working demo from the sidebar of this page. It’s the large blue button in the sidebar. Furthermore, if you’re interested in WooCommerce, don’t forget to check out some of our other tutorials or some of the items we have in our marketplace. As usual, if you’re looking for other WordPress-related material, you can find all of my previous tutorials on my profile page, and you can follow me on my blog or on Twitter. Don’t forget to leave any questions or comments in the feed below! Previous Post A simple front-end for taking WooCommerce orders at the Point of Sale.